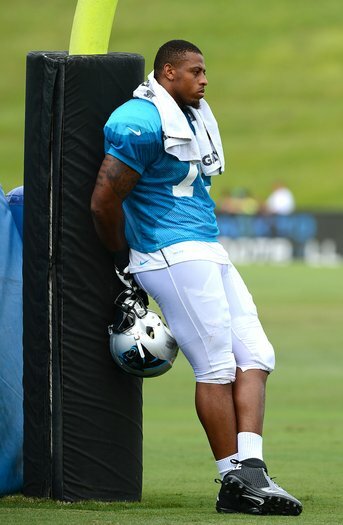 (Photo by Jeff Siner -- Greg Hardy leans against a goalpost between drills at Carolina training camp). More from Hardy in Wednesday’s Observer. Luke Kuechly signs autographs for fans Tuesday in Spartanburg after practice. 1) Jerry West. A true sports legend, and a friend of Jerry Richardson?! Who knew? West showing up at Panther camp was a nice bolt from the blue. 2) Mike Mitchell. New safety had an interception of Cam Newton and knocked Joe Adams’ helmet off in a drill with a hit that was no more than three-quarter speed. I want to see him go full out. 3) Armanti Edwards. He made a sweet tiptoe catch in the end zone. Don’t know if he got both feet in or not – the defensive backs certainly disputed it – but since it’s Armanti, let’s say he did. (TUESDAY update: Edwards got a lot of first-team reps with Steve Smith taking the day off just for safety reasons, but dropped a very catchable pass in a game-type situation). 1. Cam Newton's Tuesday performance. Very average. A couple of interceptions, including one Captain Munnerlyn returned for a TD on a late sideline throw. A "good-thing-it-was-just-practice" sort of day. 2. 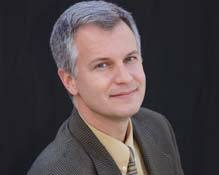 David Gettis. Have yet to see much from a WR who occasionally tantalizes his potential, but he sure had a bad drop in team drills Monday. The Carolina Panthers have officially won NFL.com’s “Greatest Uniform in NFL History” contest in a landslide with their black-on-black look. And that victory will ensure the Panthers will wear their black jerseys, black pants and blue socks together more often in 2013, which won’t be hard – they have worn that combination only once in franchise history. Miles said the Panthers are locked into black jerseys five times already this season: in the preseason at Philadelphia, and in late-season home games starting in mid-November against New England, Tampa Bay, the New York Jets and New Orleans. They could wear black pants as well for any or all of those games and likely will for at least a couple. Unlike jersey color, the pants color can be decided at the last minute. The Panthers traditionally wear all white early in the season due to heat concerns when they can (NFL home teams choose jersey color). They will wear white jerseys and white pants for their first four regular-season home games (Chicago and Pittsburgh in the preseason and Seattle and the New York Giants in the regular season). They will then wear their alternate blue jerseys at home against St. Louis Oct.20 and Atlanta Nov.3, Miles said. The black-on-black look does contain one bolt of color – the electric blue socks. Miles said that wide receiver Steve Smith was responsible for that. Miles kept the black pants a secret from every Panther player except Smith in 2012, but told No.89 about it and then let Smith choose the sock color. The Panthers debuted the look last November. It has only been worn once, in a 36-14 home loss to Denver, which makes the “Greatest Uniform in NFL History” title seem even more ironic. The Panthers won the contest despite drawing a No.15 seed in an NCAA tournament style bracket. 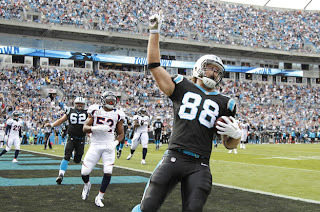 In an online contest throughout July in which fans could vote an unlimited number of times, the Panthers won six straight matchups on NFL.com – the league’s official website. They got about 90 percent of the vote this week in the final for a victory over the five-time Super Bowl champion San Francisco 49ers, compiling more than one million votes while the 49ers received slightly more than 100,000. OK, this seems crazy. It certainly isn't scientific. But it has actually happened, so given that Carolina's training camp hasn't started yet and the news is slow around Panther land, I will comment on it. On NFL.com, the NFL's official website, all through July they've been running a bracket to decide the greatest uniform in league history. It started with 64 different uniforms (teams could be represented more than once). The Panthers were a No.15 seed with their all-black alternate uniform -- black jerseys and black pants -- that they debuted last year and wore just once, in a home game against Denver, which Carolina lost. Yet somehow, that 15th Panther seed has dethroned one uniform after another (this is all based on Internet voting) until it has now reached the finals, to face the current-day San Francisco 49ers uniforms. Of the first 100,000 votes cast, the Panthers got about 91 percent of them. You can vote here -- repeatedly -- until Wednesday at 9 p.m. Eastern time. The Panthers last defeated the San Diego Chargers' uniforms from the early 1960s in the Final Four, and by a pretty substantial margin (873,000 to 643,000). But this does mean one thing -- the Panthers have got to use the black-on-black ensemble (paired with blue socks) more often. It's just an alternate look, but it has caught a lot of eyeballs in this contest, and there's no real downside to wearing it. The players generally like it, too. Carolina mostly wears white in warm weather, but in November and December this one would be worth seeing several times. Again, voting and more info can be obtained here. We are on the eve of NFL training camps, which means the long drought of offseason NFL news is about to be over, thankfully. Media members scurry desperately for stories and "news" to feed the NFL monster this time of year, and nowhere was that more apparent than this week when Cam Newton being a fan of the Atlanta Falcons became an issue. I looked up once at ESPN earlier this week and saw three talking heads discussing in depth whether Newton should be allowed to be a Falcon fan. Seriously? I know summertime is a slow time of year, but c'mon. Newton being a Falcon fan makes absolutely no difference to me, and makes sense really. He grew up in the Atlanta area, idolized Michael Vick as a kid and answered a question truthfully from an Atlanta reporter last Saturday at an event at a southwest Atlanta. "I've always been a Falcons fan, and I'm still a Falcons fan except for those two times a year," he said, referring to when Carolina plays the Falcons. It reminds me of the "issue" earlier in the year when San Francisco quarterback Colin Kaepernick wore a Miami Dolphins cap and then needled fans who got upset about it a little bit on Twitter. There's no issue there, folks. P.J. Hairston's situation at Chapel Hill right now? That's a big issue, and Roy Williams is right in saying "serious consequences" must result. The Pouncey twins wearing "Free Hernandez" caps? That's in very poor taste, but ultimately a minor issue for the Pounceys. Newton cheering for the Falcons? Not an issue at all. Newton has had a very good summer, generally -- going to school at Auburn to work toward his degree, not holding any paid autograph appearances in Charlotte (he did one in 2012, which was a misstep) and getting out in both the Charlotte and Atlanta communities a lot. Newton has gone 1-3 against the Falcons in his brief career, playing very well in 2012. Carolina should have beaten the Falcons twice last year, but Haruki Nakamura allowed a 59-yard pass over the top of his head in the final minute to set up Atlanta for the winning field goal in the first game. Then Newton absolutely dominated the second game. So if he wants to cheer for the Falcons, I'm not bothered one bit by that. I'm far more interested in whether he becomes a true leader on the field this year, and ultimately whether he can win as an NFL quarterback. The fact that he hasn't had a winning season yet as an NFL QB and that Carolina is 2-12 in games decided by seven points or fewer since he arrived? Now that's the real issue, and the one Newton must change this season. What I liked most about Jon Richardson, who has died at age 53 after a long struggle with cancer, was what a normal guy he was. Like his father Jerry, the Panthers’ owner, Jon Richardson certainly was rich by the usual standards. But also like his father, Jon Richardson was very much a down-to-earth man. Jon was a Panther president for 16 years – his job was to oversee the team’s stadium. He was far more comfortable in jeans than in suits. You could tell he enjoyed literally getting in on the ground level of the stadium, where the field was taken care of. He was truly earthy. That’s where I usually saw him, somewhere in the bowels of Bank of America Stadium, near the fragrant pallets of whatever was going onto the field next. I also saw Jon occasionally at local diners. Jon liked places that had blue-plate specials, with a meat and two vegetables for $5.99. He had a ready smile and never seemed to be in a huge hurry. When I saw him outside of the stadium, he invariably would ask about my family. He was like that. He was a devout Christian as well. He was a good athlete, too – a two-year starter at wide receiver for North Carolina in college. Jon used to play basketball on Fridays at the uptown YMCA with then-Observer beat writer Pat Yasinskas. Jon was the oldest of Jerry and Rosalind Richardson’s three children. In 2009, both Jon and his younger brother Mark suddenly resigned their posts as Panther presidents. These resignations on the eve of the 2009 season have never been fully explained, but it was true that the brothers were not getting along well and that communication lines between the two had frayed considerably. But today is not a day to revisit that controversy. Today is a day to remember Jon Richardson’s long and courageous battle against cancer – he fought the disease for years, even while a Panther employee. And to remember his wife and three children. And to remember what a fine man he was. Nike officials have apologized for their Carolina Panthers T-shirt that mixed up North Carolina and South Carolina, pictured above. This photo is courtesy of Les Hall and is a picture of the actual T-shirt Nike shipped to him. The statement doesn’t address who was responsible for this error or tell what the "small number" was. But I do give Nike credit for not simply ignoring the mistake completely – which was first reported in the “Scott Says” blog on Friday. (I began asking Nike for comment on the shirt last Thursday). To back up for those who missed the original story: alert reader Les Hall of Charlotte saw the T-shirt listed on Nike’s website. It was geographically challenged to say the least – there’s a picture of a Panther logo, but it rests atop the shape of South Carolina. Then in the top left corner of the S.C. silhouette there are the state initials “NC.” It looked like Nike, the NFL’s official uniform supplier, believes Charlotte is in South Carolina. For a kick, Hall (who went to Clemson) ordered the shirt anyway, paying $32 for it. It arrived at his house Friday. He told me about it before that, and I started researching what happened. Nike since took the shirt off its website and it is no longer available for sale, for all those who have asked (and there have been many of you). I posted the original blog item on Friday and a follow-up in the newspaper on Sunday, reporting that Hall had received the shirt. Given that this is a slow time of year for the NFL, the news then went all over the place, from the home page of CBSSports.com to ESPN to all over Twitter. Of the more than 1500 items I have posted on the “Scott Says” blog over the years, that original post now ranks No.3 in total number of hits. And Hall undoubtedly has secured himself a collector’s item – one likely worth far more than the $32 he paid for it. In researching this column about the original Charlotte Hornets and why they were such a big deal, I came across several things I couldn't use in the story that was published Sunday but that I didn't know and found interesting. I didn't get to The Charlotte Observer until 1994, after all, so some of the early stuff especially was new to me. 1. Larry Johnson had a charming way of getting away with not knowing someone's name he should have -- one that I may adopt. He just would say, "Hey, big guy!" 2. Eager to capitalize on Alonzo Mourning's menacing persona, the Hornets would play the first few bars of Darth Vader's theme (The "Imperial March") when he entered the game. 3. After then-coach Allan Bristow once punted his suit coat in exasperation at an official, the Hornets had a halftime contest in which fans were judged on the length that they could punt a suit coat. 5. The Hornets used to interview a star of the game on the microphone live in postgame at midcourt, and frequently it was a standout for the other team. Magic Johnson did it once while he was with the Lakers, and before doing so he pulled on a Hornets T-shirt someone had handed him. The crowd, of course, went wild. Original Hornet owner George Shinn had a picture of Magic in that Hornet T-shirt for years in his office, as did other Hornet officials. 6. Following Alonzo Mourning's famous jumper with 0.4 seconds remaining that put Charlotte ahead 104-103 and ultimately won the playoff series over Boston in 1993, the Hornets' Kendall Gill actually goal-tended on a clever Celtics inbounds play designed to get a tip-in as the buzzer sounded. Officials did not make the call, although observers said one replay showed it was clearly goaltending, and the Hornets won. Postscript: For their season ticket holders, the Bobcats are holding a nostalgic "meet-and-greet" on Thursday, July 18th (the day the NBA Board of Governors will rubber stamp the name change as "official") with Rex Chapman, Dell Curry, Muggsy Bogues, Kelly Tripucka and Kendall Gill. That should be a lot of fun. Does Nike even know where Charlotte is? This T-shirt, since taken down off the Nike website, is geographically challenged. I apologize that the close-up view isn't clearer, but it shows the "NC" letters on a silhouette of South Carolina, along with a Panther logo in the S.C. silhouette. An alert reader -- Les Hall from Charlotte -- pointed this T-shirt out to me. He was surfing the Nike website this week, he wrote, and looking for new Carolina Panther stuff. He came across this odd T-shirt. It indicates that someone associated with Nike believed that the Panthers play in South Carolina. Or that North Carolina's silhouette looked like South Carolina. Or something. You can note if you look closely that there's a picture of South Carolina on the shirt, as well as a Panther logo, and there's an "NC" labeled on the S.C. silhouette in the top left corner. It's clear somebody messed up. Nike has taken down the direct link to the T-shirt, so you can't buy this anymore at store.nike.com. Hall did purchase it before it was taken down, however -- for $32, no less -- and then sent me a backup copy of the picture that he got in Nike's official confirmation of his order (I had earlier checked the link, and it was indeed there for awhile). His Nike confirmation said the shirt was going to be shipped later, however, and turns out it was -- he got it on Friday. It looked just like the picture. I have been in contact with Nike's media relations department and they are investigating what happened. I will let you know what they say when I hear back from them. In the meantime, what do you think about this? Shouldn't everyone know where Charlotte is by now? This isn't the mid-1980s, after all, when we used to get confused with Charlottesville, Va., and Charleston, S.C., in the pre-Hornet days. Al Jefferson officially joined the Charlotte Bobcats Wednesday, immediately becoming the team’s best low-post player and also exhibiting some Southern charm in his opening press conference. “I can’t express how happy I am to be here,” said Jefferson, who said he also had some interest from Dallas and New Orleans. Originally from a small town in Mississippi, Jefferson said Charlotte reminded him of his roots and that he “couldn’t sleep a wink” after visiting with team brass recently. He said he had run into future teammate Kemba Walker in New York a couple of months ago and they had joked about teaming up without ever truly believing it would become a reality. Jefferson, a nine-year NBA veteran, has averaged 16.5 points and nine rebounds over his career. His signing represents the boldest and most expensive free-agent acquisition since the Bobcats began play in 2004 and should help quell the notion that owner Michael Jordan won’t spend big money to try and win. Jefferson, 28, reportedly has received a deal from the Bobcats worth about $41 million over three years, with the third year at the player’s option. The Bobcats have gone 28-120 over the past two seasons, and one of their biggest problems has been scoring in the low post and defending the rim. Jefferson is a rarity in the NBA – a true back-to-the-basket center, something the Bobcats haven’t had since Emeka Okafor. From Mississippi, where he was drafted out of high school in 2004, Jefferson is listed at 6-foot-10 and close to 290 pounds. He was picked 15th overall in that draft – the same one in which the Bobcats selected Emeka Okafor No.2 overall. For old-timers, Jefferson said his game is similar to former NBA star Moses Malone – an old-school mix of athleticism, crafty pump fakes and pure strength. Jefferson is an old-school player with far more offense in his game than Bismack Biyombo (although his defense is off and on and he has some trouble defending the pick-and-roll). He will likely start alongside rookie Cody Zeller at power forward, giving the Bobcats far more scoring punch down low than they’ve had for awhile. Jefferson led the Jazz in scoring and rebounding last year. He and Dwight Howard are the only two NBA players to have averaged at least 17 points and nine rebounds over each of the past six seasons. In other news Wednesday, the Bobcats officially waived Tyrus Thomas and designated him as their "amnesty" player for salary-cap relief and officially signed rookie first-round pick Cody Zeller.